"Nucleated Tensegrity Cell" by Don Ingber. Martin Gropius Museum, Berlin. 2016. Photo courtesy of the author. ​As an undergraduate student at Yale University in the 1970s, I majored in Molecular Biophysics and Biochemistry, but the class I most wanted to get into was an art class. This proved difficult, however, as few art classes were open to undergraduates from other majors. But then one day I noticed students walking around campus with cardboard polyhedral structures, which looked exactly like viruses I had seen in my biology books. I asked why they were carrying these objects, and they said that they built them in their art class called “Three Dimensional Design,” which was taught by the sculpture professor Erwin Hauer. By chance, my girlfriend at the time was an art major who just happened to be taking a sculpture course on the human figure with Hauer. So I asked her to introduce me. Hauer taught me about a building system called tensegrity. 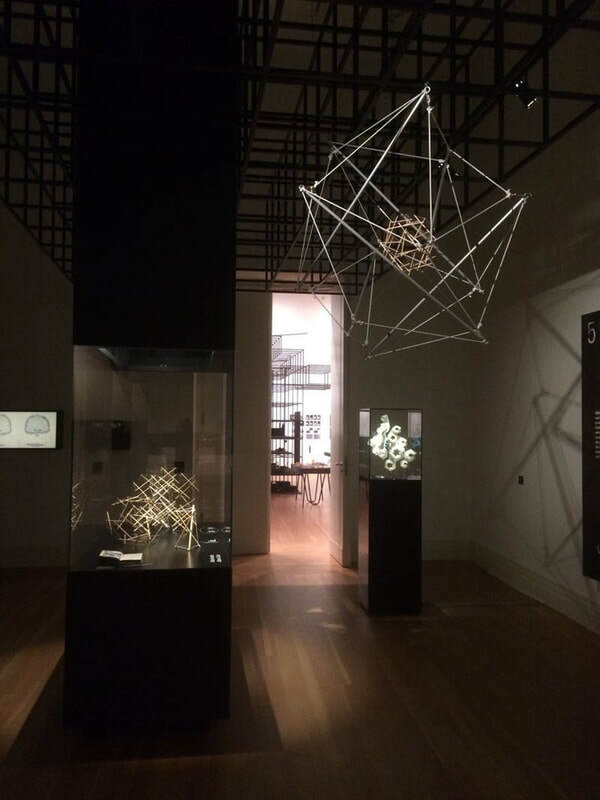 The architect Buckminster Fuller had first described it, and the sculptor Kenneth Snelson had made into an art form. Hauer showed us a tensegrity structure made from six wood dowels that appeared to be suspended in mid-air by magic. In reality, these six struts pushed out against a tensed network of fine elastic threads. The opposing pushes and pulls created a mechanical force balance - a state of isometric tension - that stabilized the shape of the entire structure, much like the way in which bones and muscles interplay to stabilize our bodies. As Hauer spoke, he pushed down on this flexible sculpture and it responded by changing its shape and flattening. But then he quickly released his hand, and the tensed sculpture rounded and leapt into the air. Amazingly, that same week on the other side of the campus, while culturing living cells in a cancer research laboratory, I had witnessed the same behavior: cells which normally flattened themselves against the culture substrate, rapidly retracted and bounced up off the dish when I used an enzyme to clip the cells’ anchors to the culture dish in order to pass them from one dish to another. This was in the 1970s when biologists thought of cells as membranes filled with protoplasm, like squishy blobs, or water balloons filled with molasses. But a few researchers had recently reported that cells have an internal molecular framework or 'cytoskeleton' (cell skeleton) that contains contractile fibers similar to those in muscle, as well as other curved filaments that looked to me as if they were buckling under compression. Was it possible that cells use tensegrity to structure themselves? I headed back to the Art library where I came upon a book from the 1960s called, Structure in Art and Science. It contained chapters by architects like Fuller, but also artists, social planners, biologists, chemists, crystallographers, and specialists in many other fields. Although these were experts in different disciplines, each conveyed the same message: the answer to any complex problem lies in understanding the relationships among different components, and sometimes the gaps can be more important than the parts themselves. This seemed to be the nature of my own insight: the riddle of biological pattern formation required that I analyze three dimensional structural arrangements, rather than the individual molecular components. And I discovered that a biological truth could be gleaned from art and architecture. This idea that cells are tensegrity structures and that the answer lies in the arrangements, not the parts, guided my work once I entered the combined MD/PhD Program at Yale in the late 1970s, and carried out lab research in early 1980s. But I was moving off in a direction opposite from that of my peers as this was the very same time the power of gene cloning was revolutionizing science, and molecular reductionism was the party line. Years later, I presented my tensegrity theory at a scientific meeting within a few months after my graduation from Yale. I’d gathered all my arguments, and I showed images of spider webs, Stonehenge, gothic cathedrals and tensile buildings by Frei Otto to introduce biologists to the field of tensile architecture. The expressions of the audience moved from disheartening shock to overwhelming dismay. I then showed results of experiments carried out in my living room with a tensegrity cell model I had sculpted from three foot-long metal poles stolen from a chemistry lab where they’d held glassware, and elastic shock cords from a sailboat. My cell model had a nucleus at its center that was constructed as a hollow geodesic sphere from fine applicator sticks connected by thin elastic threads; it was attached to the surface of the model by more elastic strings. When I anchored the cell model against a substrate in a flattened conformation, the nucleus spread out in a coordinated fashion; and now when I detached the model, both the cell and nucleus rounded, and the whole cell again jumped up into the air. This mechanical coupling between the cell and nucleus matched the results of recent experiments I’d carried out in the laboratory, which I included in my lecture. I concluded that because cells are tensegrity structures, changes in mechanical forces might influence cellular biochemistry and growth by altering the arrangement of the molecular poles and cables inside the cell skeleton; alterations in the rigidity of the anchoring substrate could do the same. At dinner that night, two senior scientists ridiculed me for my ideas. My presentation had been totally inappropriate for a scientific audience. The idea that mechanical forces are informative had gone out with the notion of 'vitalism' at the turn of the last century. Chemicals and genes were the only important biological controllers. With his eyes rolling back in his head like a wild horse, one of my inquisitors told me that I had wasted everyone’s time with my art show, and I should never do it again. After they’d steamed away, someone gently placed his hand on my left shoulder. I turned around and looked up to see a very tall man who peered down at me like a concerned grandfather. In a lilting Swedish accent, he said, “I don’t know what you said to upset them so much, but you must be onto something very important.” He smiled and walked away, looking for some dessert. I finally met Buckminster Fuller in 1983. While attending a party in the Yale Art and Architecture building, I ran into a woman I had not seen for over six years, since the days we had sat together in Hauer’s sculpture class. She explained to me how she had stayed on at Yale as a graduate student in sculpture at the Art School, and how her work also had come to focus on tensegrity structures. She then asked me if I would be seeing Fuller the next day at the Atticus Bookstore, just around the corner in downtown New Haven, as he would be there for a book signing. This was news to me. That night I decided I would go meet Fuller, but with the crowds of fans, I would probably have little time to say anything of substance. So I sat at home in front of a typewriter and wrote a note to convey how his work in art and architecture had influenced my own in biology. I enclosed my typed words in a large manila envelope along with a copy of a book chapter I had recently published on tensegrity and cancer. The next morning I arrived early at the bookstore and sat down at a table with a cup of coffee, waiting for Fuller’s arrival. A car soon pulled up, and a little, old, balding man with a rim of white hair and thick glasses exited the back door. As I’d anticipated, fans instantly mobbed him. But on the other side of the car was a young blond woman I recognized; she smiled and took a step back as Fuller’s fans swallowed him up. This turned out to be Buckminster Fuller’s lead assistant, Amy Edmondson, who I had met taking sailing lessons years before (she is now a professor at Harvard Business School). I reintroduced myself and handed her my envelope, and she promised to pass it along after the signing. Amy also introduced me to Fuller. I shook his hand and he signed a few books for me, but the whole encounter passed by in an instant, and I felt almost no connection. I have mulled over this letter often over the past 35 years. In the end, I believe he was telling me that to gain fundamental insight into the world in which we live, and to change the world for the better, we must span the divide that separates different disciplines and work at the interface, as he had done before me. Yet to take this path can be an isolating experience, and this has occasionally made me wonder why one even tries. For me the answer to that question seems to lie hidden, as always, within the underlying pattern of forces; only in this case, the forces are those of boredom and exhilaration. Since my childhood, I have been pushed away by monotony and pulled towards intellectual passion like metal to a magnet. This has produced for me a nonlinear life path, with frequent dead ends, and many confusing turns. I have occasionally felt like a ball in a game of billiards bouncing off the felt, or a light beam in a crystal cave. But the elation of discovering something no one has discovered before has made it always impossible for me to turn back. With this kind of life, it seems to me that scientists become artists and artists scientists. 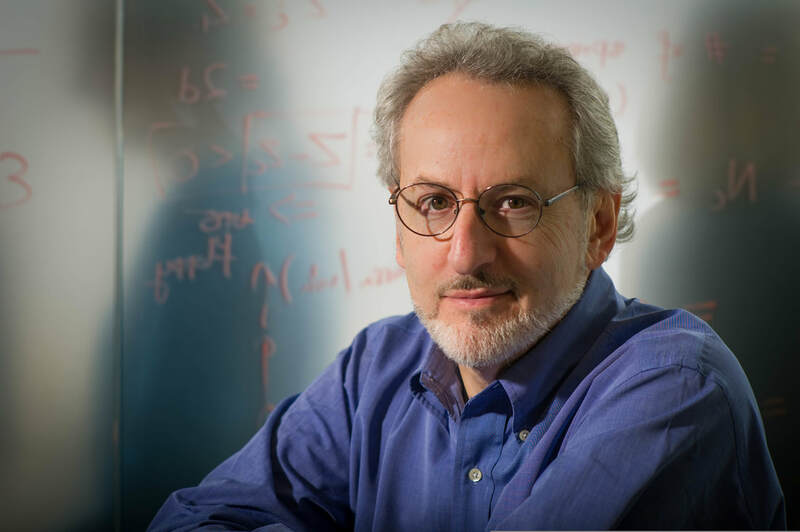 ​Donald E. Ingber, MD, PhD is the Founding Director of the Wyss Institute for Biologically Inspired Engineering at Harvard University, Judah Folkman Professor of Vascular Biology at Harvard Medical School and Boston Children's Hospital, and Professor of Bioengineering at the Harvard School of Engineering and Applied Sciences. He has authored more than 450 publications and 160 patents, founded five startups, and received numerous honors in a broad range of disciplines, including membership in the National Academy of Medicine, National Academy of Inventors, American Institute for Medical and Biological Engineering, and the American Academy of Arts and Sciences. 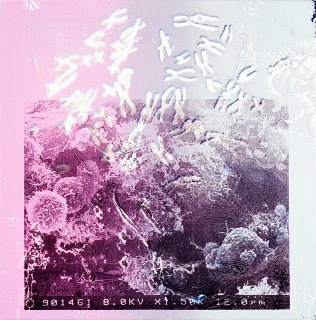 His ‘Organs-on-Chips’ technology for replacing animal testing was selected as Design of the Year by the London Design Museum in 2013 and a Top 10 Emerging Technologies of 2016 by the World Economic Forum; they also were acquired by the Museum of Modern Art (MoMA) in New York City for its permanent collection.